Instructional Video for Komatsu PC360LC-11 Excavator - Pre Operation Inspection - Components & Compartments. Informative Video: Komatsu PC210LCi-10 Hydraulic Excavator - Intelligent Machine Control - Technology & Features. Informative Video for Intelligent Machine Control System for Komatsu Excavators - Features, Design, GPS & Control. 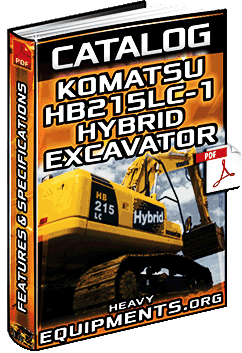 Free Download Catalogue for Komatsu HB215LC Hybrid Excavator - Data, Features, Specifications & Equipment in Full PDF. 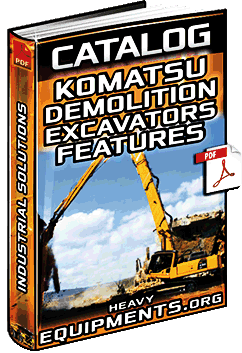 Free Download Catalogue: Komatsu Demolition Excavators - Industrial Solutions - Features & Work Equipment in Full PDF. 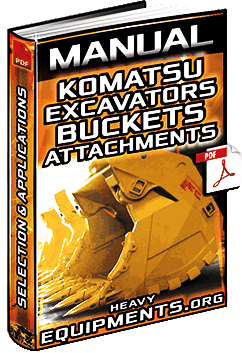 Free Download Manual for Komatsu Excavator's Buckets - Attachments, Selection, Application & Specifications in Full PDF. 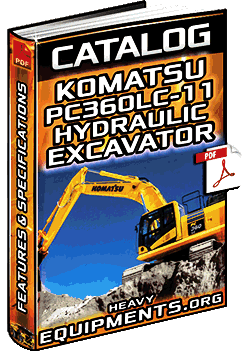 Free Download Catalogue for Komatsu PC360LC-11 Hydraulic Excavator - Features, Specifications & Equipment in Full PDF. 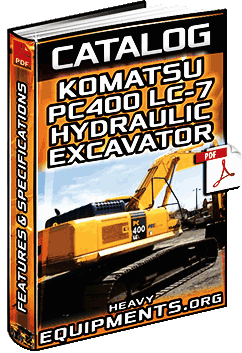 Free Download Catalogue for Komatsu PC400-7 & PC400LC-7 Hydraulic Excavators - Features & Specifications in Full PDF.